The Irish National Lottery has been operated in Ireland since 1987 and is immensely popular with players. The game was created to assist in raising funds for a variety of initiatives in Ireland, including sports and recreation, health and welfare, national heritage projects and the Arts.You can buy tickets at any licensed lottery retailer or you can play the Irish Lottery online. Want to check your numbers to see if you have a winner? Visit Irish Lottery official web site. 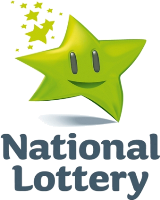 Ireland National Lottery initially began with scratchcards games having afterwards expanded the portfolio to include Lotto drawings, television bingo, televised game shows, and participation in the transnational EuroMillions lottery. All cash prizes won in Ireland National Lottery games are paid as tax-free lump sums and need to be claimed within 90 days of the drawing dates. Irish Lotto game originally started in 1988 as a 6/36 lottery having changed afterwards four times in its history, most recently to 6/47 in 2015. The minimum play has always been two lines of six numbers. Ireland Lotto game has recently introduced structural changes to improve sales that have been constantly decreasing in the recent years. When in July 2007 over two-thirds of Irish adults bought tickets for a record-breaking €16 million rollover Lotto jackpot, the changes proved to be successful. Playing the Irish Lotto is easy! For the Irish Lotto game, Players pay €1.50 per line. There is a minimum purchase of 2 lines. Players choose 6 numbers from to 1 to 47. Tickets are on sale until 7.45pm on the night of a drawing. To win the jackpot, which always has a minimum of €2 million, you must match all six main numbers drawn. But, prizes are also awarded for matching as few as 3 main numbers. If there is no jackpot winner, the jackpot rolls over until someone wins it. You can see where it might not take long for a jackpot to reach a very large size!